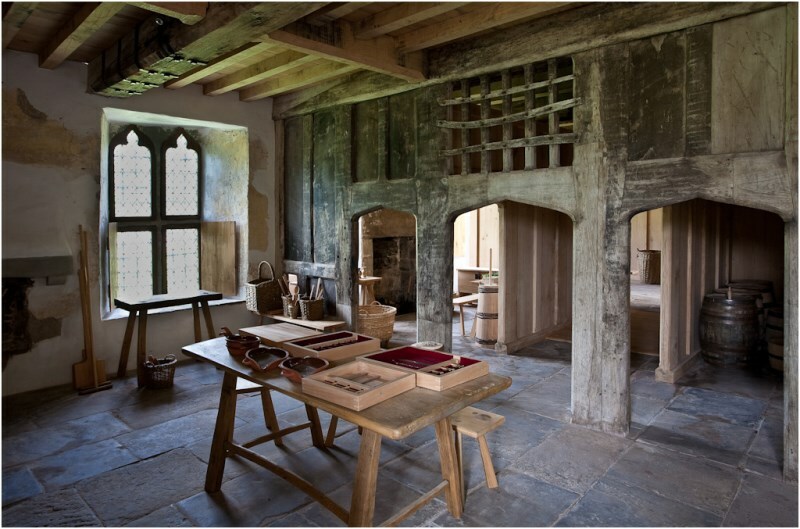 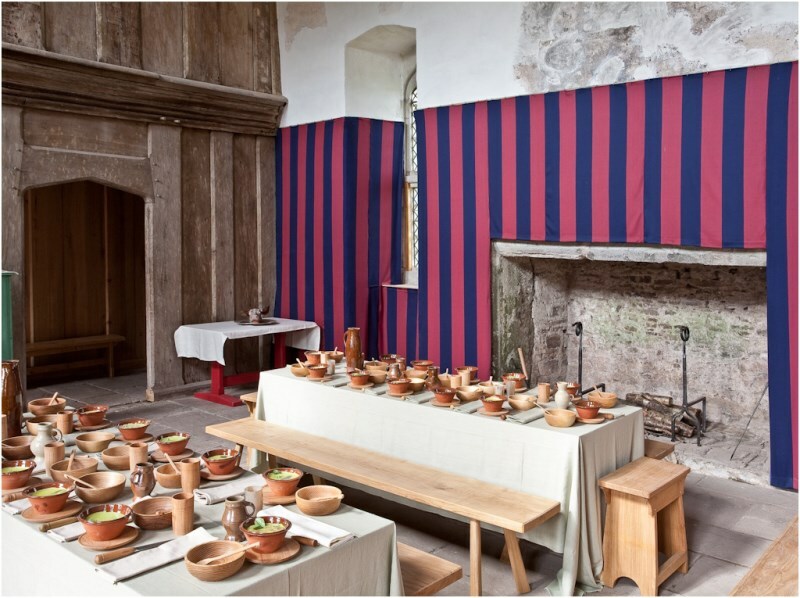 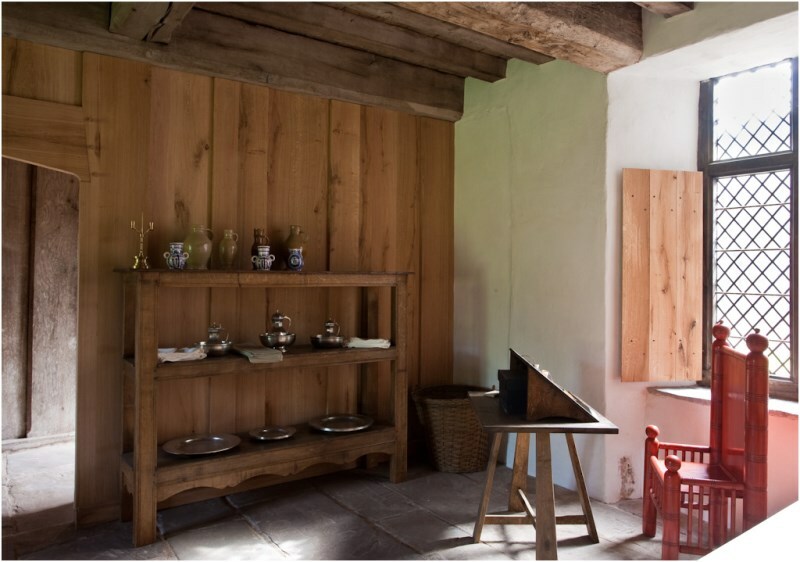 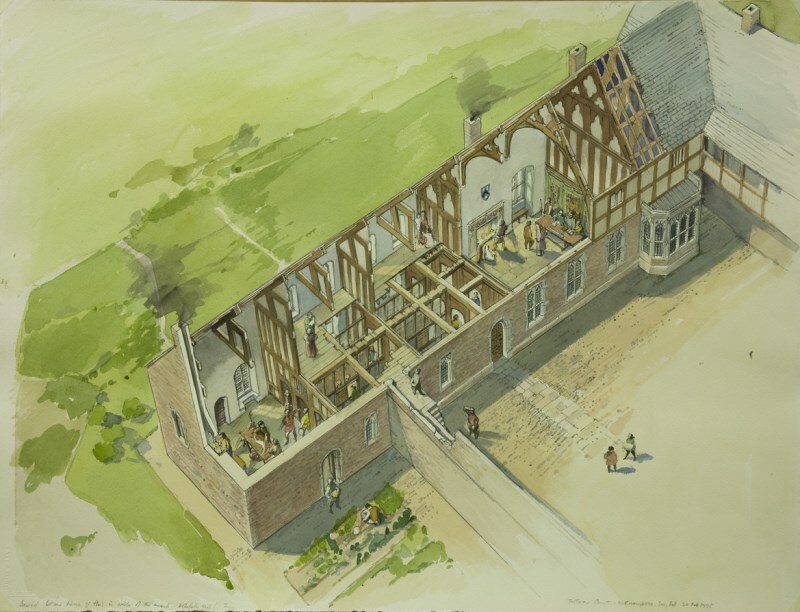 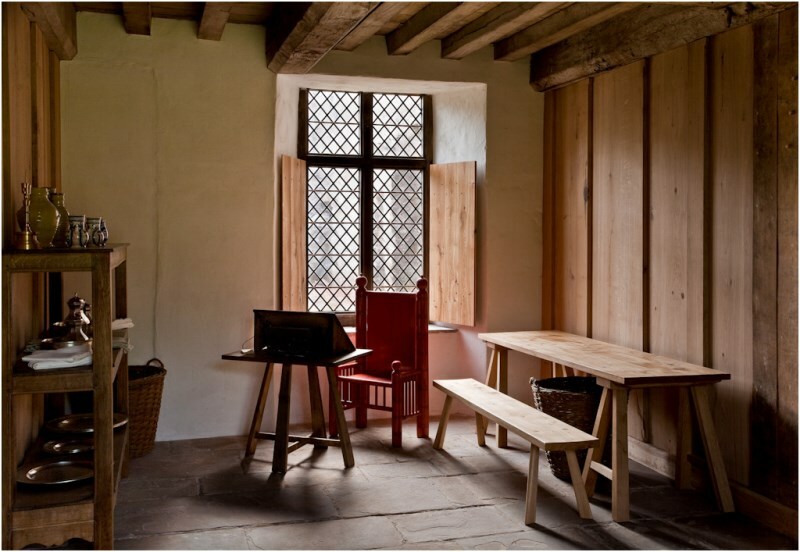 This taxing but also very enjoyable project involved the complete refurnishing and recreation of all rooms in the court's west range--a 'complete dining set' of working kitchen, buttery, pantry, servery and great hall. 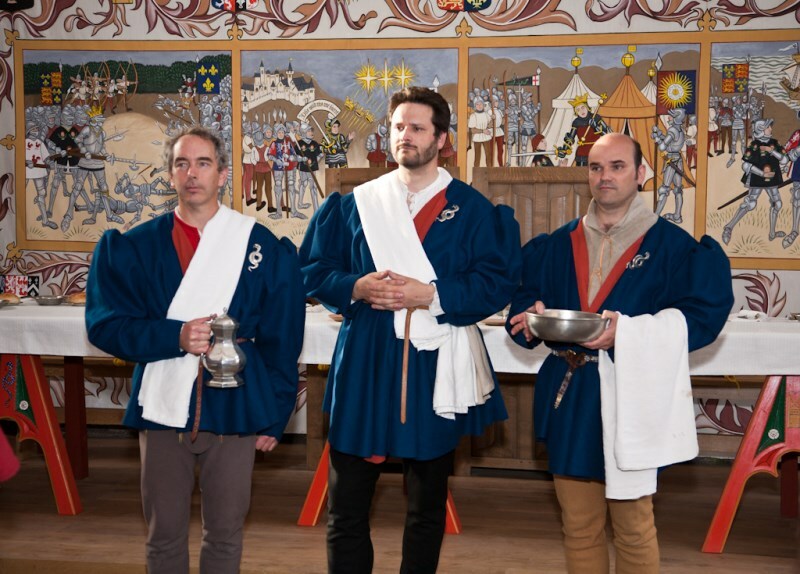 Closely based on our extensive research, they are represented as they might have appeared when occupied during the 1460s by the powerful Vaughan family, leading Yorkist supporters during the Wars of the Roses. 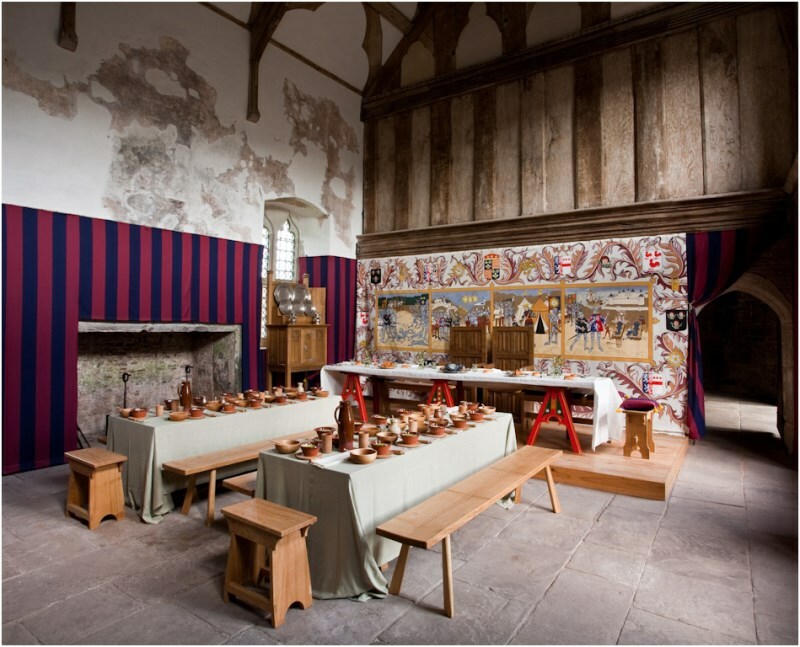 Outstanding features include a 'family history' painted cloth; wall-hangings in the Yorkist livery colours; a painted high table; table settings for lords and commons; and every detail of the working service rooms. 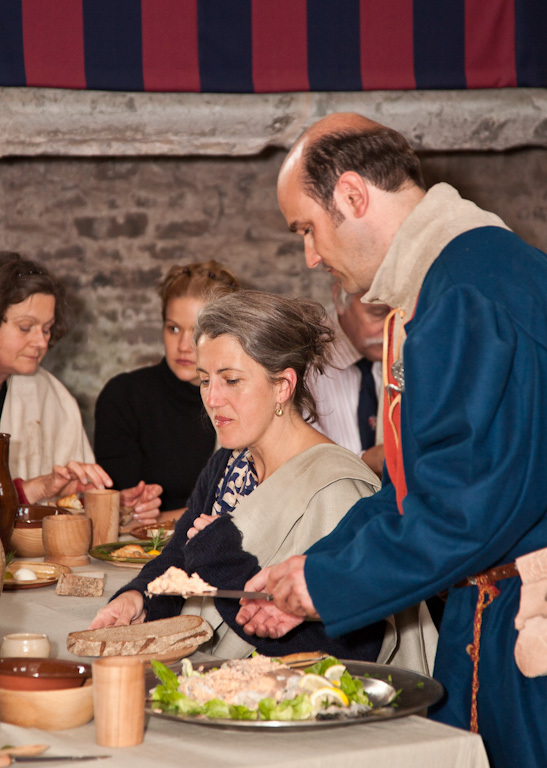 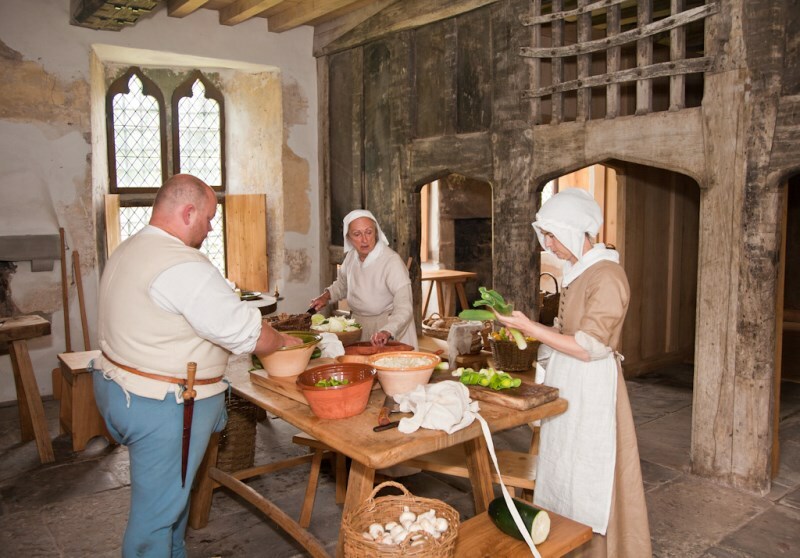 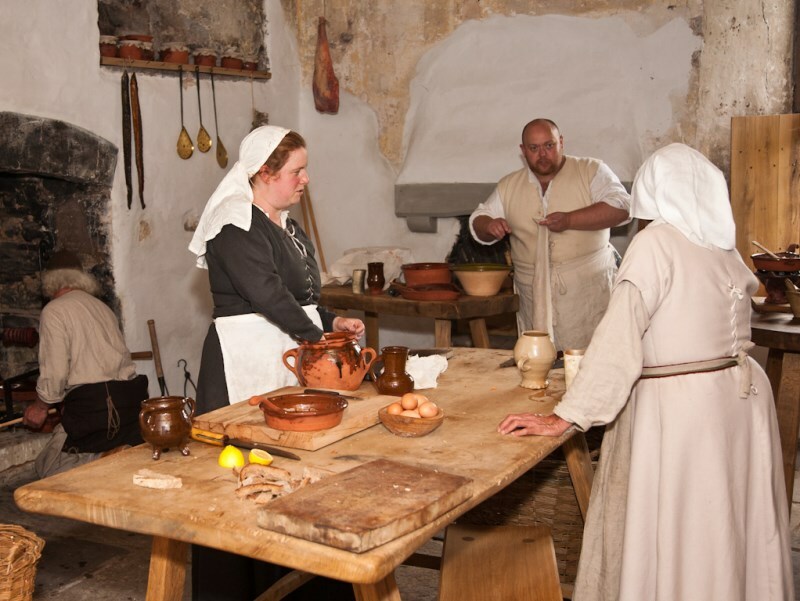 The recreation was put to a stringent test by two celebratory mediaeval feasts, fully prepared in the kitchen and served by retainers in Vaughan livery. 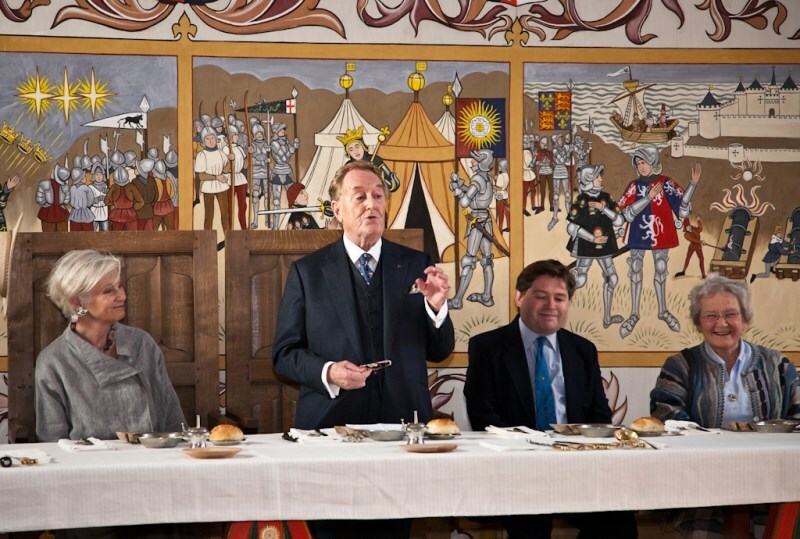 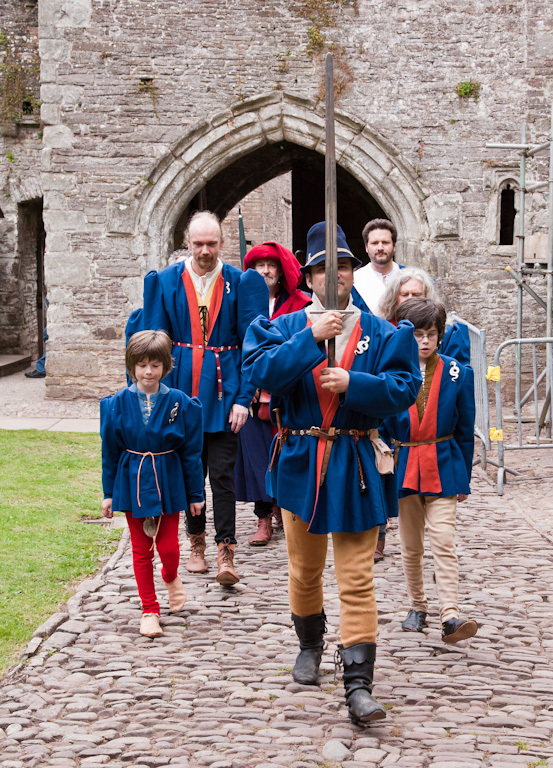 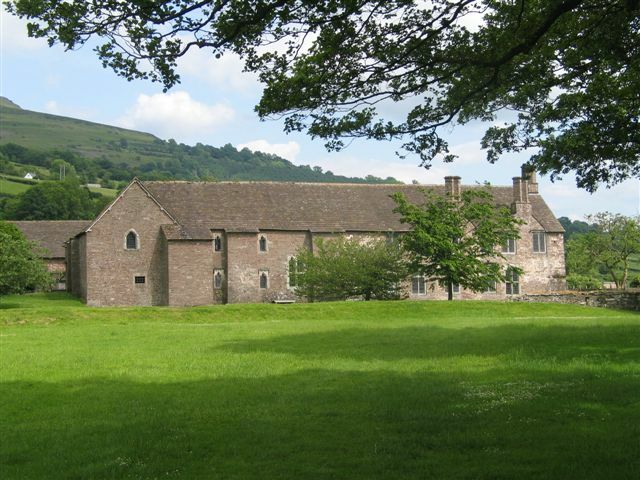 Among the 70 people attending were the Welsh Assembly Minister, descendants of the Vaughans and Cadw members selected by ballot, presided over by the actor Robert Hardy.